Welcome Home! 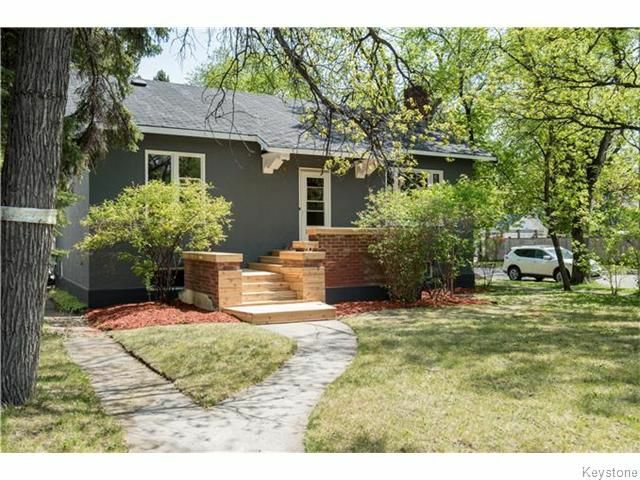 This sophisticated bungalow perfectly blends the character we love in a River Heights home with the modern luxuries we want today. All of the hardwood floors on the main level have been restored to their original splendour, and almost all of the windows have been updated. A stylish open concept kitchen area has been created and features heated floors, a stunning quartz peninsula, reclaimed wood shelving, brand new s/s appliances and the charming original pantry space. The east facing sunroom features all new windows and is the perfect place to enjoy your Sunday morning coffee. The main floor bathroom has been fully refreshed and also features heated tiled flooring. This fabulous home is complete with a fully finished lower level, a brand new deck off of the kitchen and a new fence enclosing your freshly laid sod. All plumbing and electrical have been updated. Call today to book your appointment!